Durable black exterior covering with plush lined interior and a strong plywood construction. Quality chrome hardware with locking center latch. 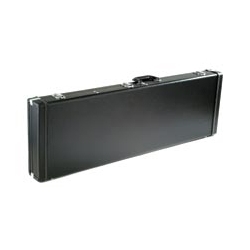 Fits many standard size solid body basses.